How do you build a fast car? First, you need to reduce friction. Friction is the enemy of speed. Reducing friction, increases speed. It sounds simple but there are many sources of friction that slows a pinewood derby car. This short how-to tutorial guide tells you how to reduce friction and maximize inertia to help you make a fast, competitive pinewood derby car. It is by no means a comprehensive list of speed secrets. As an engineer, I wrote a best selling book, Winning Pinewood Derby Secrets, that lists all the tips, tricks and the technical reasons that make your car fast (or slow), including notes on the physics of motion and Newton's formulas. For more how-to information, see our excellent sources of advanced winning secrets at the bottom of this article. Since pinewood derby block dimensions are all the same, these speed tips apply to Cub Scouts, Awana Grand Prix, PineCar, Kub Car, Royal Rangers and Girl Scouts powderpuff pinewood derby cars. 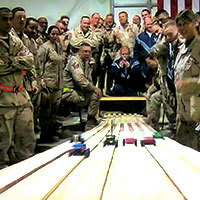 So, here is how to build a fast pinewood derby car in 6 steps:. Another good lubricant, if your rules allow, is Nyoil. Nyoil is a highly refined thin-film oil. Apply only one or two drops to your axles. Nyoil will reduce friction throughout your race because it stays on your axles long after graphite has dropped off in the later heats. See more details on this new lube idea in Graphite and Lubes. Imperfections in your Pinewood Derby Wheels cause friction in many areas. Sanding your wheels, however, can be tricky. If the wheels are not precision sanded, you can actually make matters worse. Turning your wheels on a lathe are the best way to remove imperfections and get a uniform, balanced and finely tuned pinewood derby wheel. The wheel is secured in the lathe and spun at a high speed, then it is sanded or shaved with a tool attachment. Wheel imperfections can also make your car veer left or right. Once again, lathed wheels will remove mold imperfections so each wheel rolls perfectly straight. Your car moves down the track from the force of gravity. If your car is too light, it will have less inertia in the flat part of the track. Be sure your car weighs as close to 5 oz as possible. Find someone with a scale, purchase an inexpensive scale or weigh your car at the Post Office. Add weights until the car block, along with the wheels and axles, is up to 5 oz. Don't wait until race night to weigh your car! When I manage pinewood derby races, everyone is always a rushed at the last minute to weigh their cars to add (or subtract) weight. If you wait until the last minute, you may not have time to make your car the optimal weight. Don't wait to add weight! Steering a pinewood derby car is challenging. First, gently roll your car along the a floor that has straight lines, so you can see which way it is steering. If it veers to the right or left more than 2" over 4 to 6 feet, the axles are crooked. Just like steering a car, you need to adjust the steering on your pinewood derby Car. To adjust steering, you must adjust one or more of the axles so the car rolls straight. Below are 3 ways to steer a pinewood derby car so it rolls straignt, or into the rail if you want to build a rail rider car. Re-drill the axle slots or drill new axle holes using the PRO Driller. Mark the 12 o'clock position on the axle head and then gently bend the axle about 2 degrees. You can then turn the axle left or right with a needle nose pliers until your car rolls straight. This technique can be tedious and it is very difficult to bend the axle so slightly and then turn it. The axle can be easily scratched or damaged and then they need to be replaced. For these reasons, we don't recommend bending your own axles. Purchase pre-bent axles. This not only saves time and eliminates the risk of damaging your axles, they are perfectly bent in the precise spot on the shaft. Pre-bent axles are available with a 1.5 degree bend for steering your car and 2.5 degrees for canting your axles. These axles have a convenient easy-trun screw driver slot in the axle head so you can easily turn them with a flat blade screwdriver. Consider making a Rail Rider, whereby your car is deliberately steered gently into the rail to avoid banging back and forth on the center guide rail. But be careful! You must learn How to make a Rail Rider properly, or you can actually make your car slower! Rail riding is a proven technique but it will NOT work if you don't have a center guide rail and it will slow your car if have a wooden track. Read our guide to dertermine if rail riding will work for you. To win the race, you'll need to learn the speed secrets from the Pro's. If you are serious about speed, spend a few dollars to download our Winning Pinewood Derby Secrets book that contains over 40 speed secrets that has helped people win races for over 15 years. Have fun, do your best and happy racing! This 6 step guide shows the fundamentals for creating a fast pinewood derby car. It will help you make a competitive, fast car. To make a race winning car, you need speed axles, wheels, weights and lubes. We think our speed products are the best. 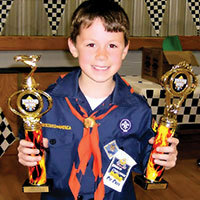 Our products have helped pinewood derby racers for over 15 years. But don't take OUR word for it...read our customer reviews and product reviews. Please take a moment to read our reviews. 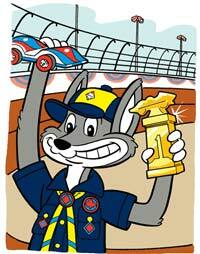 Need More Pinewood Derby Help? 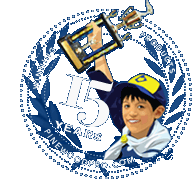 The experts at Pinewood Pro have been racing and managing pinewood derby races for over 15 years. 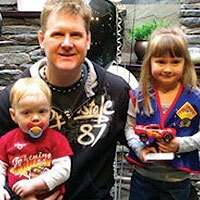 As an engineer, I have designed the most complete list of speed secrets in my #1 selling book, Winning Pinewood Derby Secrets. If you are a beginner, consider our beginner's book, Pinewood Derby in Six Steps, which takes you through the car building process step by step, in a clear, concise manner, with complete illustrations. It also provides a bonus section on Speed Essentials to show you how to prepare your axles and reduce friction so you have a competitive car. It even includes three simple cut-out car design templates so you have everything you need to build your first competitive car.